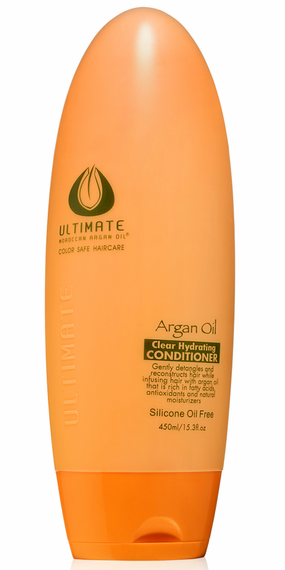 After cleansing with ULTIMATE Moroccan Argan Oil® Clear Hydrating Shampoo, gently squeeze excess water from hair and apply ULTIMATE Moroccan Argan Oil® Clear Hydrating Conditioner from scalp to ends. Leave on 1-2 minutes, then rinse well with warm water. Avoid contact with eyes.